Around 10-25% of adults have bunions, a painful protruding joint at the base of their big toe. Bunions can occur at any age, and can be especially problematic for athletes. If you have a bunion that’s causing pain, swelling or redness, call the Podiatry Institute of Southern California in Culver City, California, today so Dr. Albert Nejat can evaluate which podiatric treatment would be best for you. If nonsurgical treatment methods don’t relieve your pain, Dr. Albert Nejat is an expert in bunion correction surgery and will perform the latest surgical techniques, to minimize discomfort, prevent reoccurrence and return you to your active lifestyle. Call the staff today to schedule your visit or make an appointment online. A bunion is a bony bump caused by stress placed on the joint at the base of your big toe. A bunion begins to form when the big toe pushes towards the second toe, causing the joint to protrude often irritating the skin that covers it so that it becomes red and sore. Bunions can be painful and obtrusive for anyone, but they can be especially problematic for athletes or anyone who exercises regularly. Many people have bunions because of an inherited structural defect, because of the swelling caused by arthritis, or due to stress placed on the foot. Wearing tight-fitting, narrow, or constrictive shoes can also exacerbate bunions. Bunionettes — smaller bunions that develop on the smallest toe — can also occur. What do bunions look and feel like? Depending on your particular circumstances, there are a variety of ways to treat bunions. In most cases, Dr. Nejat usually recommends starting with more conservative treatments, including finding more comfortable shoes and/or custom-made orthotics to ease the stress on your feet. Padding, splints or inserts may also be used to provide your joint with more support. In more advanced cases, Dr. Nejat offers a variety of surgical options to directly address the protruding bone. Typically surgery is recommended only if the bunion causes persistent pain and swelling, and after taking into account your general level of activity and overall health. When performed, however, the surgery is quite effective. 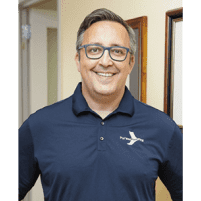 In fact, Dr. Nejat is one of the few podiatrists in Southern California who’s qualified to perform a specialized surgery called Lapiplasty® 3D Bunion Correction. Specifically developed for correcting all three dimensions of the bunion deformity, the Lapiplasty® surgery addresses the root of the problem. This advanced technology is designed to allow you to walk within days of surgery while permanently relieving your bunion pain and returning you to your active lifestyle. Fix it right the first time with Dr. Nejat. If you think you might be suffering from bunions, or if you have any questions, don’t hesitate to call the Podiatry Institute of Southern California today, or make an appointment online using the scheduling tool. You can put the discomfort of bunions behind you today.